To own a smart speaker in our family become more and more popular nowadays, the digital device is helpful for us to play music on it, but if you want to gain the best quality of streaming music, it is a good idea to have a Sonos product. The powerful built-in Amazon Alexa enables you to access a lot of streaming media without any constraint. Sonos is regarded as one of the best amplifiers to offer the high-quality sound compared to other speakers. However, you should add apple music to Sonos and play on it, as Apple device has no built-in music function in Alexa app. Here we will teach you how to play apple music on Sonos. In order to add apple music to Sonos, it is necessary to use the version iOS 8.0.1 or the higher version, to use Android 4.3 or higher is no problem alternatively, and you must be a member for Apple Music. 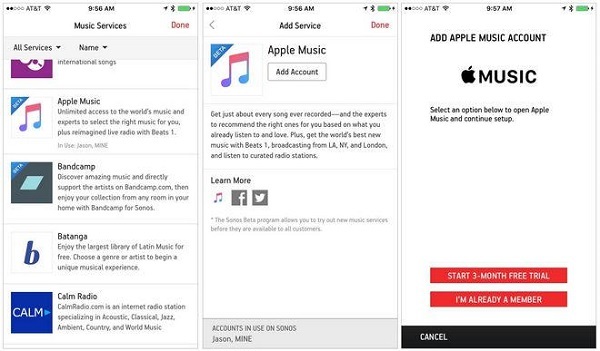 Below are the details of how to add apple music to Sonos. 1. You should download the Sonos Controller app and install it in your device. 2. Run the app and tap on “Add Music Service” from the menu option. 3. Choose “Apple Music” in the list and add it to Sonos. Follow the above steps to complete the setting on your device and then you can enjoy the Apple Music on Sonos freely. You may feel it easy to add Apple Music to Sonos, but once you cancel the subscription on Apple Music, that means you will disconnect with Sonos. What should you do if want to go on playing Apple Music on Sonos once the subscription is canceled.? To get rid of the DRM from Apple Music is the best solution to this problem. 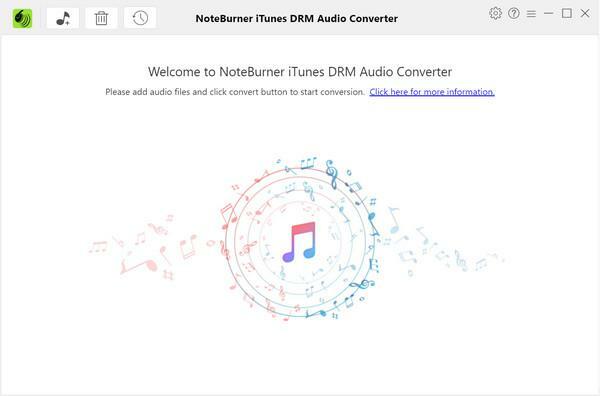 NoteBurner Apple Music Converter is a good help to remove DRM from Apple and iTunes music without any loss of the audio quality. 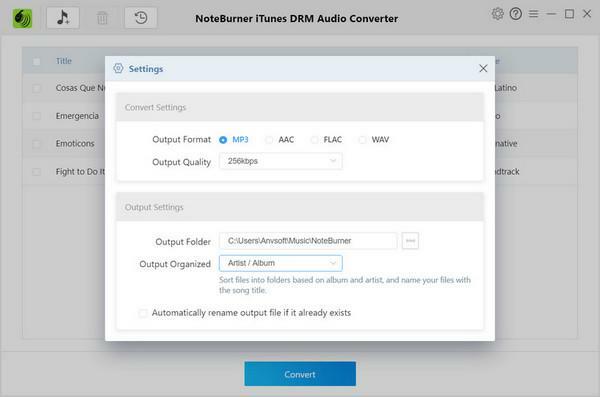 It can convert the music from Apple or iTunes into other formats such as MP3, FLAC, WAV, etc. Below are the instructions on how to remove DRM and play the music on Sonos. 1. 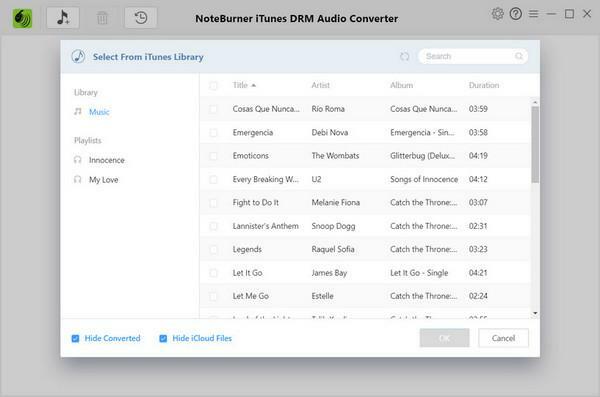 Install Launch Noteburner Apple Music converter on your device. 2. Run this software and click the button “Add” to import music, then the downloaded music from Apple or iTunes will be shown on window and you can select any one to convert it into other formats. 3. When you have added the music you want to convert, you can set the saving format by clicking the button “Setting”. 4. After setting the output format, click the button “Convert” and the DRM protection will be removed from the Apple music successfully. 5. Finally, import the DRM-free Apple music to Sonos without any limit. You can choose “Music Library Settings” in the “Manage” menu, and then click the button “Add” to import the converted apple music, it will take at least a few minutes to import. In this case, even the subscription is canceled, the Apple music can be played on Sonos normally. This is also a good method to play iTunes on Sonos. If you want to move iTunes music out to computer for listening conveniently, what is the best method to complete this transfer? Undoubtedly, Leawo iTransfer is a great solution in transferring multiple files between Apple devices, iTunes, and computers. Due to the advanced technology for transferring, Leawo iTransfer is able to make the transfer in a rapid and safe way. Just with one simple click, the selected files can be transferred within a few seconds to the destination files. High assurance with no data loss makes this software work effectively. Leawo iTransfer with easy operation will serve you well to meet your demands and enable you to enjoy your digital life pleasantly. 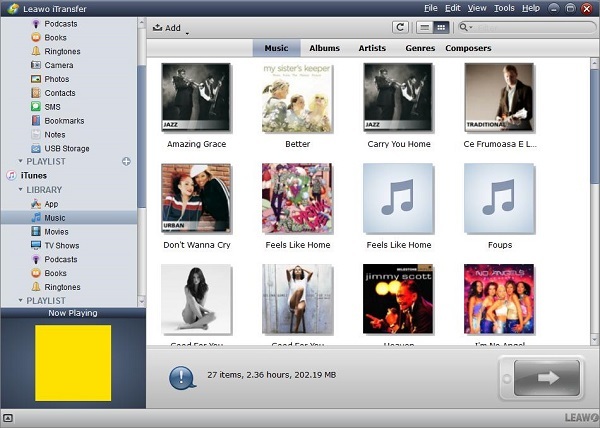 The following are the instructions of how to move iTunes music out to computer via iTransfer. 1. Launch Leawo iTransfer firstly and then connect your apple device to the computer by using the USB cable. Your apple device will be recognized and detected by this software automatically. 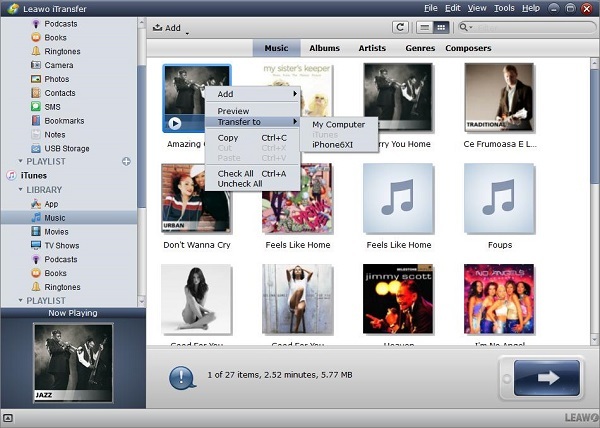 The information of your Apple device will be shown in the left sidebar, choose “music” you want to transfer, the song in the music will be displayed on the right of the window. 2. Import the music files by clicking the button “Add” on the middle of the window, or you can select the music files by right click, you will see a list of function in a small pane, then click “Transfer to” my computer. Finally, click the transfer button on the left bottom. 3. A prompt will pop up and make sure to check “Save to Folder” and then choose the destination folder to save the music by clicking the “Change” button. Finally click “Transfer Now” to begin to transfer the music from iTunes to your computer.